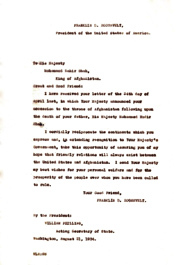 In Small Things Remembered » Correspondence between President Franklin D. Roosevelt and King Zahir Shah. a. 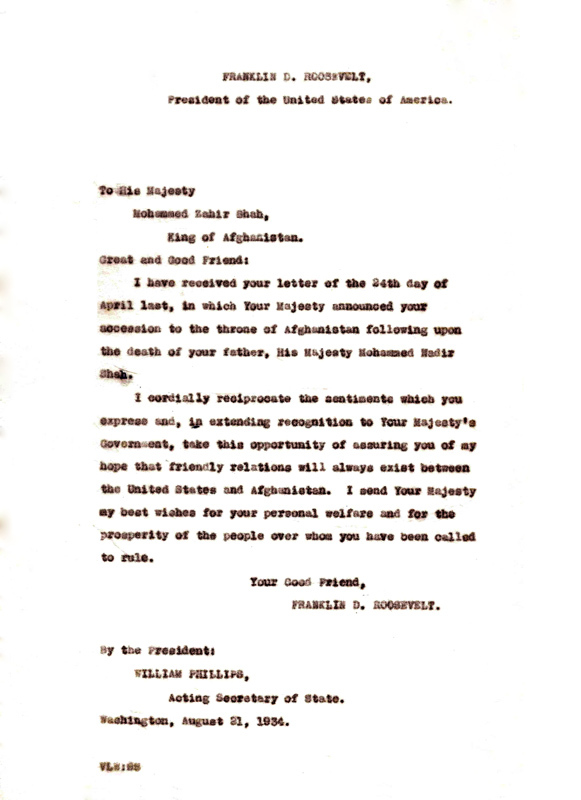 Letter from the Afghan King to the U.S. President (English). b. 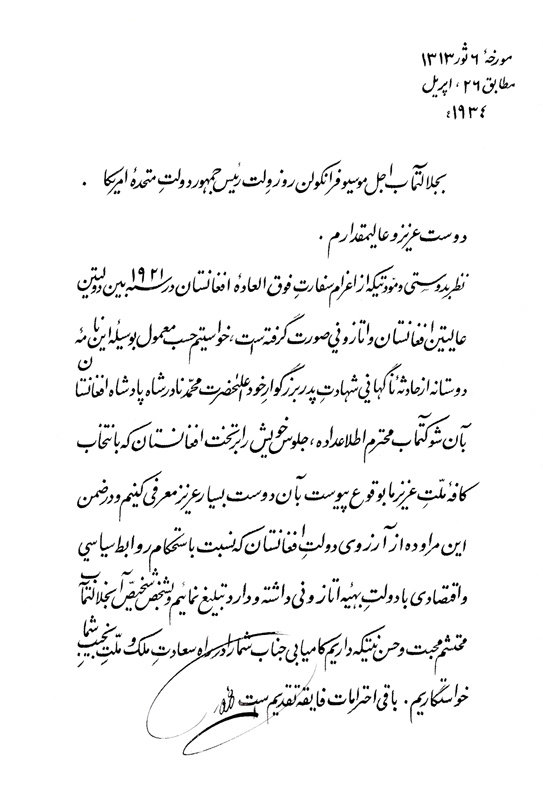 The King’s letter to the President (Dari). 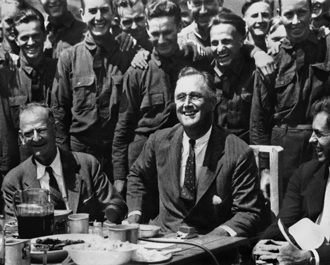 c. President Roosevelt at a Civilian Conservation Corps camp. 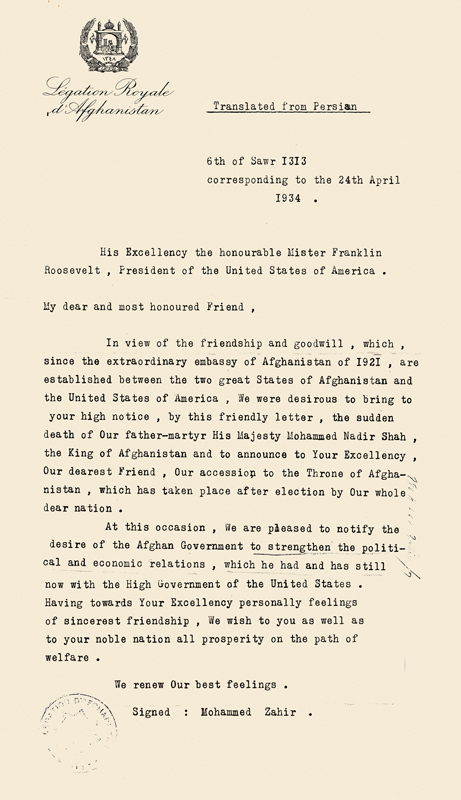 d. Letter from the President to King Zahir Shah. Franklin D. Roosevelt was inaugurated as the 32nd President of the United States in March 1933. Nineteen-year-old Mohammed Zahir Shah was pronounced King in Afghanistan later that same year. 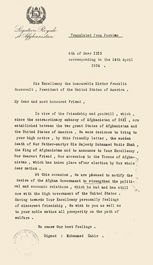 Their acknowledgement of each other’s governments began a process that culminated in the exchange of diplomats and the signing of a 1936 agreement. Documents courtesy of the National Archives. 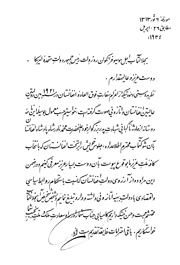 Department of State Central Decimal File 890H.001 ZAHIR; RG 59. Courtesy of the Franklin D. Roosevelt Presidential Library & Museum.